A new book by prof. Joanna Paliszkiewicz at the SGGW, the Chairperson of the Foreign Committee of EBC Poland. 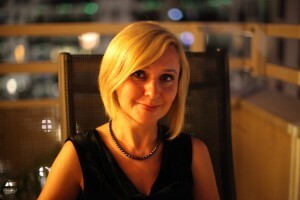 We encourage you to get acquainted with the latest book of prof. Joanna Paliszewska of SGGW, Chairperson of the Foreign Committee of European Business Club Poland written in co-operation with prof. Barbara Kożuch and prof. Sławomir Magala titled “Managing Public Trust” published by Palgrave Macmillan. This book presents theoretical and practical aspects connected with management of public trust. Results of research from seven countries have also been presented: Brazil, Finland, Poland, Hungary, Portugal, Taiwan and Turkey. 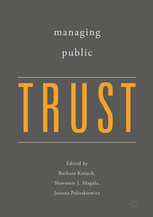 The book consists of five chapters concerning the meaning of trust, types, dimensions and its role of trust in management; organizational challenges connected with public trust; the influence of social media on the development of public trust; the dynamics of public trust towards business and public trust in various cultural contexts. ← About facilitating the operations of small and medium enterprises, Constitution for Business and European Funds during a meeting at the European Business Club Poland in the Museum of Sport and Tourism in Warsaw.